Every year I get quite enraged when this holiday comes around. So here is an article, much more well written than I could hope to accomplish that explains what really happened. 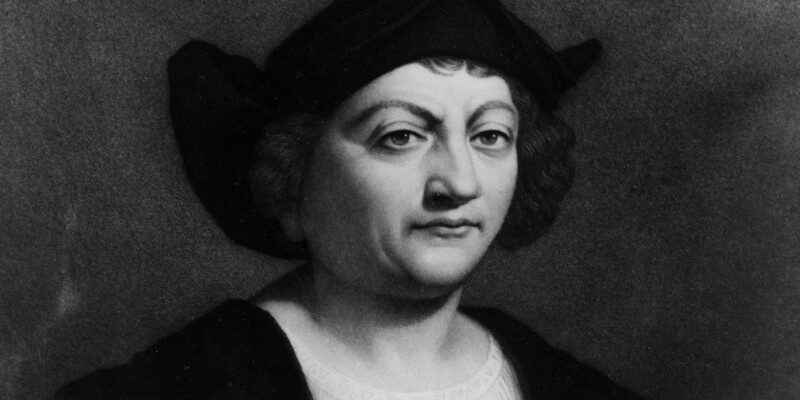 The article below mentions replacing Columbus day with something else. It does not mention the counter holiday to Columbus day: Indigenous Peoples’ Day which I really hope gains some more traction. 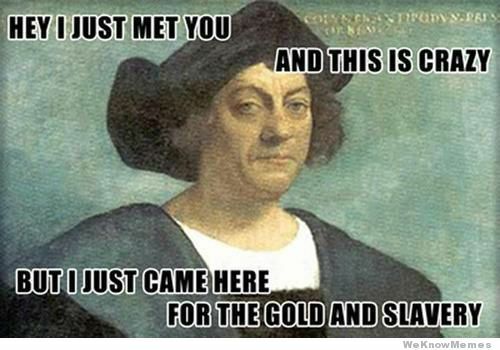 Once again, it’s time to celebrate Columbus Day. Yet, the stunning truth is: IfChristopher Columbus were alive today, he would be put on trial for crimes against humanity. Columbus’ reign of terror, as documented by noted historians, was so bloody, his legacy so unspeakably cruel, that Columbus makes a modern villain like Saddam Hussein look like a pale codfish. After this heartbreaking experience, Nan went home to her school in Minnesota and asked the kids… what can we do? The kids got the idea to make homemade paper andsell it to buy a cow. So they made a bunch of paper, and sold the paper, and when they were done they had enough money to buy… FOUR COWS! And enough food to feed all of the cows for ONE FULL YEAR! These are kids… from 6 years old to 18… saving the lives of kids halfway around the world. And I thought: If a 6-year-old could do that… what could I do?